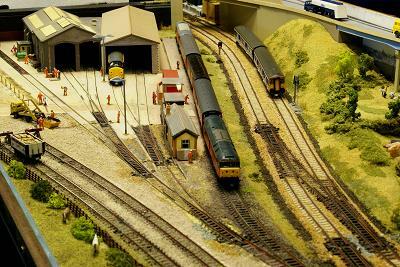 Bishopsmead is a busy terminus located 'somewhere' on the Western/Central division of the LMS, set in the mid 1930s. The actual location presumes the area to be a popular leisure destination, which necessitates many passenger trains including the odd excursion from other companies. Although Bishopsmead is built as a terminus, it is not the end of the branch line from the junction with the LMS network (at Castlebury), the line progresses on to the terminus at Smallcombe. However, the connection to Smallcombe is via a trailing connection in the down direction only, located beyond the tunnel. This necessitates all Smallcombe trains reversing at Bishopsmead, which in addition to handling its own normal traffic, also handles the local, connecting and through traffic to and from Smallcombe. 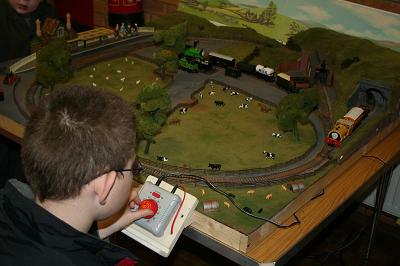 The layout portrays the station of Bishopsmead and the line as far as the tunnel. 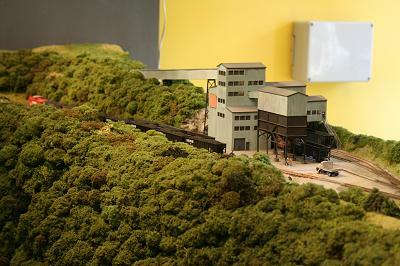 A connection to the local industrial area at Bishopsmead is modelled (but not the area itself). 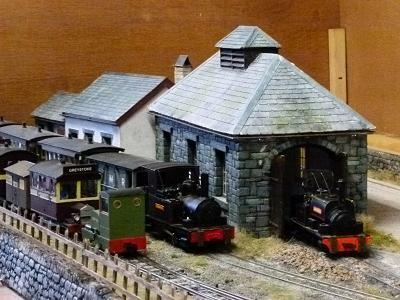 The junction for Smallcombe and Castlebury are represented by the 'Fiddle Yards', as is Smallcombe itself. Although the locations are fictitious, an operating sequence has been developed and is run which is both plausible, intense and (we hope!) more or less correct. 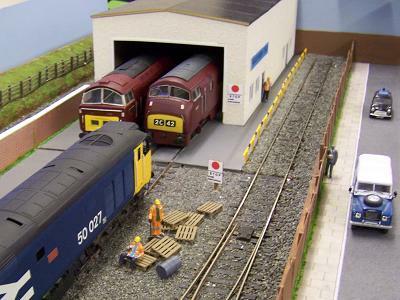 The stock on the layout is a mixture of predominantly kit, modified kit or scratch built items together with the odd extensively modified proprietary items. 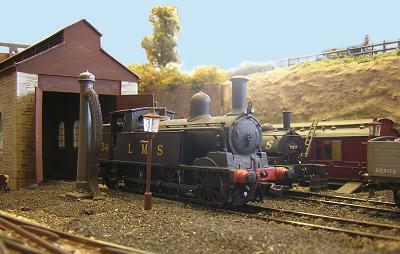 Stock is generally is in both the early and later pre-war livery styles. 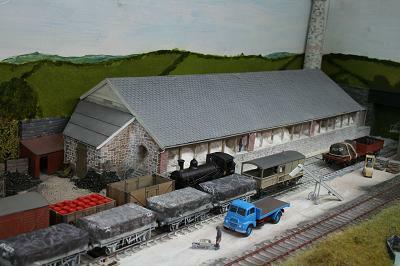 The buildings are a mixture of kit/modified kit or scratch built, and the scenery is constructed using all the usual Woodland Scenics materials and the like. 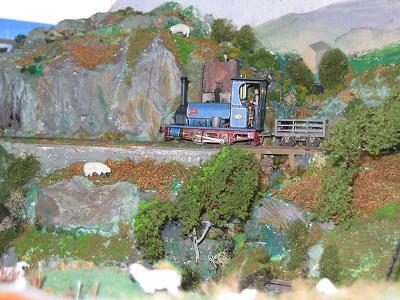 The Cumberland Mineral Railway follows a very popular and practical format for narrow-gauge layouts; it is built to 7mm scale and uses 00 gauge track. Although it is fully operable and scenically well developed, there are still things to be done to it before it can be called truly complete. 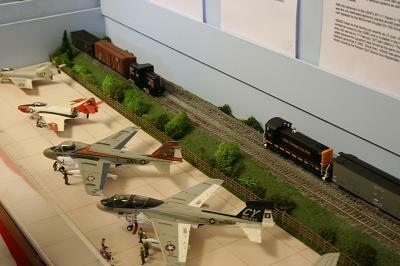 I have avoided the temptation to include models of actual prototypes, although similarities will be seen to locomotives and stock which appeared in manufacturers' catalogues over the years and might have realistically appeared on a small railway which did not have the resources to design and build things for itself. Imagine this small railway to be situated in a quiet area of the northern Lake District, transporting slate, coppiced timber and bobbins from the mill, a limited amount of general merchandise and passengers from Millbeck in Bannerdale to a junction with the mainline at Greystoke. Bannerdale really exists but you will struggle to find it on a map. Perhaps the flooding of the valley to create Bannermere Reservoir, a few years after the period the model represents, is partly responsible for that. 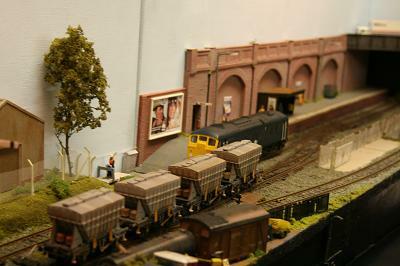 Figges Marsh TMD is a small '0' gauge layout of a Traction Motive Depot operatimg locos from the Mid 60's to Mid 80's. This era was chosen s we could run maroon Warships, Westerns, blue locomotives plus large logo to the rirst class 59. 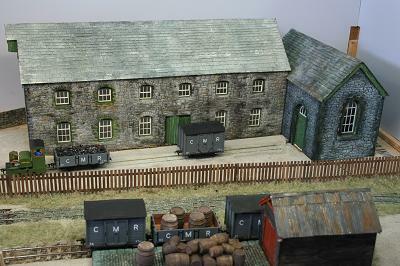 The buildings are kit or scratch-buil and the layout operates totally on DCC. 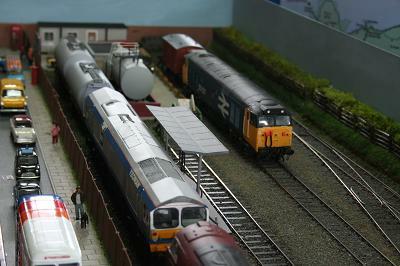 Gas Lane is a follow up to my previous layout Condicote, which featured in Hornby magazine Issue 7. it came about after my club's exhibition manager came looking for layouts and I offered a new layout for the annual show. I then puzzled as to what to build. 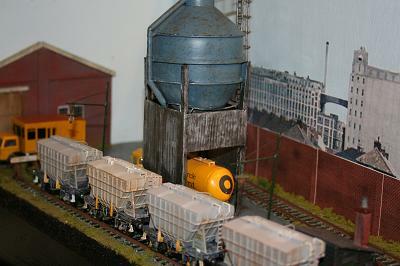 The result is this compact gas works setting which uses a baseboard 4ft 8 1/2ins x 1ft 4in to portray goods operation in an industrial setting. Historically resources for gas works are scarce, but a visit to Fakenham gas works in Norfolk, which is England's only complete, although non-operational gas works, provided all the information I needed to get started. 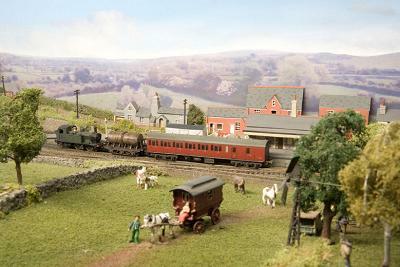 I've always enjoyed scenic modelling and much time and effort has been invested in adding details to the layout including people, scenic items and especially within the garden of the manager's house. In operation I have a wide range of rolling stock to choose from and due to its nature Gas Lane can operate in a number of periods and regions by changing the locomotives and rolling stock over. As a minimum space layout Gas Lane is very entertaining to operate. Polpendra is a small terminus station and the end of a Y on a branch line somewhere West of Dartmoor, Devon. One direction runs to the mainline and the other on to a small china clay works hence the occasional visit of clay trains which run in, run around and run out again. 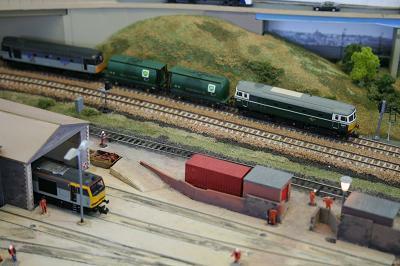 The station also has operating rights for the occasional Southern region service as well so the variation to be seen is far in excess of any station in real life of Polpendra's size. The idea behind the layout was to develop a taste of a West country branch line as far as possible, an aim I hope people think I have achieved. 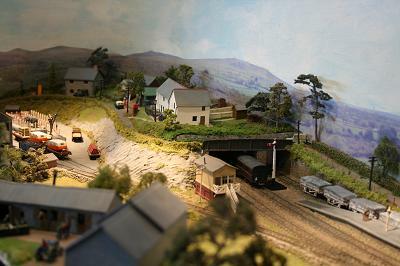 The Teigl Tramway is a narrow gauge layout in 0-14 (7mm scale with a track gauge of 14mm). 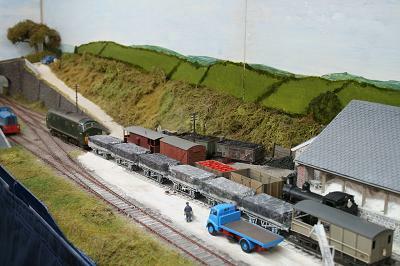 The model depicts a Welsh slate carrying narrow gauge railway. There is a junction on the 'main line' from which a tramway branch climbs steeply, partly following the road before entering a ledge on the rocky hillside. Passing a slate quarry it disappears into a tunnel to serve the higher part of the valley. 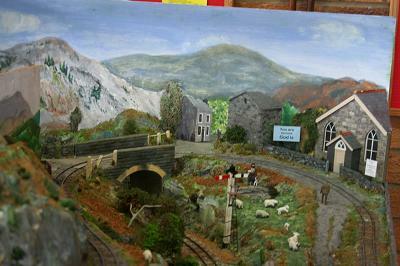 The main line continues across a river and passes a slate works and a woollen mill before entering the fiddle yard. 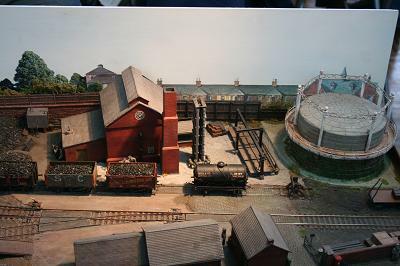 Wheal Elizabeth is a fictional representation of the Cornish china clay industry and is largely inspired by Great Wheal Prosper at Carbis Wharf off the Newquay Branch. This clay works did not close until 1989 and was virtually unchanged from the 1950's. 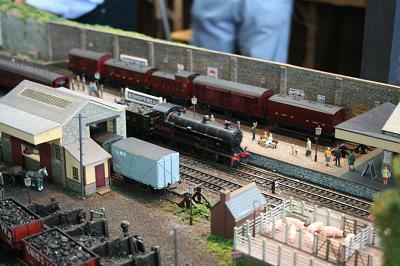 The layout chronicles the various types of engines and rolling stock typically seen on Cornish clay trains in the period in between, so don't be surprised to see steam engines in the morning and diesels in the afternoon. 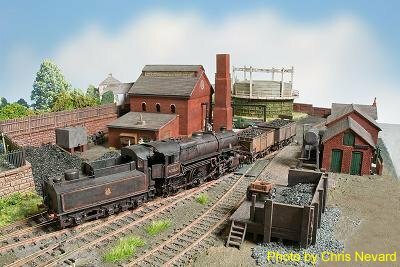 There are only two rules: every engine you see will have been photographed on a clay train somewhere and rolling stock will be appropriate to the engine hauling it.